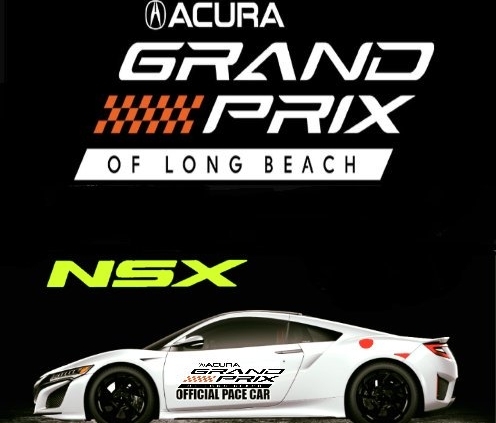 The 2019 Acura Grand Prix returns to Southern California this weekend. Bring your friends and family to Long Beach to watch fast cars, basque in the sun, attend concerts and explore the exposition center. After all, who doesn’t want to see sports cars in action? Our Tube Rollers & Bubble Rollers will be on the sidelines for kid entertainment. Come join us because it’s going to be an amazing weekend. Ten bubble bumper soccer suits are heading your way, University of California San Diego! Enjoy! Bubblefest features hands-on bubble science and the amazing Mega Bubblefest Laser Show starring Deni Yang and Melody Yang. Interactive spaces include the Mega Bubble Courtyard, Water Spheres, and the Bubblefest Zone where the whole family can learn bubble science from surface tension, elasticity, air pressure, and geometric properties. Don’t miss spring break’s most popular event! Get your tickets before they sell out. Check Out Our New 22-Foot Slide! Jump for joy! Calling all thrill seekers!! Check out our New 22-Foot High Massive Dual Lane Blue Marble Dry Slide! This slide has two separate lanes where two people can slide down the inflatable together simultaneously. invite friends to climb to the top of this incredible ride and do a belly or bottom slide all the way down! It’s time to dazzle your friends and family at your next event by sliding down this 22-foot drop slide! Perfect for kids who like having tons of fun and lots of energy! 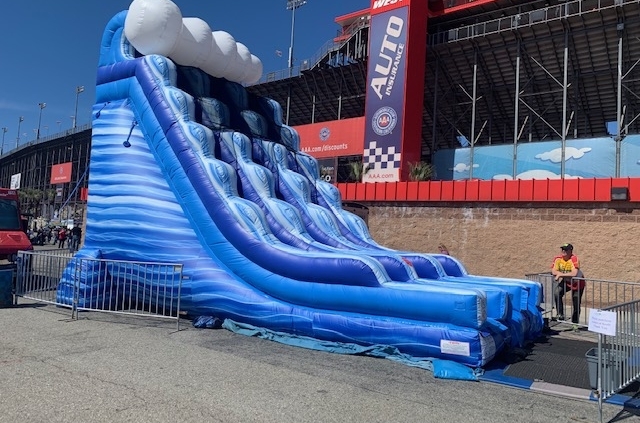 http://emeraldevents.com/wp-content/uploads/2019/03/rent-22-foot-high-massive-dual-lane-blue-marble-slip-slide-rental-11.jpg 480 640 Emeraldstaff http://emeraldevents.com/wp-content/uploads/2017/01/emerald_events_logo-1.png Emeraldstaff2019-03-20 06:27:162019-03-20 06:27:23Check Out Our New 22-Foot Slide! 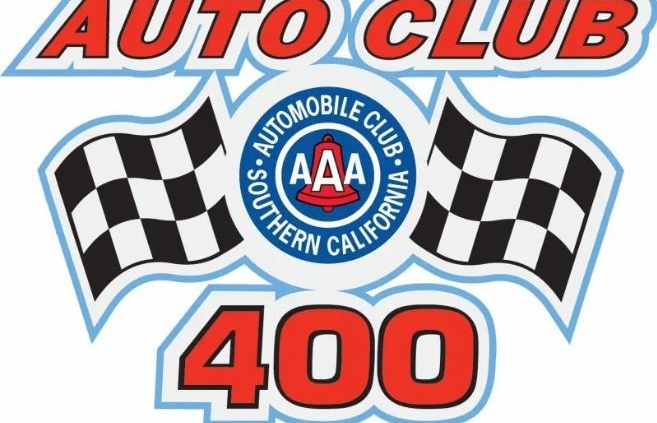 Don’t miss NASCAR in Southern California right here at Auto Club Speedway in Fontana, California. Enjoy flat out and five wide racing, live music, great food, Monster Energy stunt shows, and so much more! This event is and action packed fun-filled family event so bring the kids. Emerald Events will be providing all the kid’s attractions to keep the kids entertained. 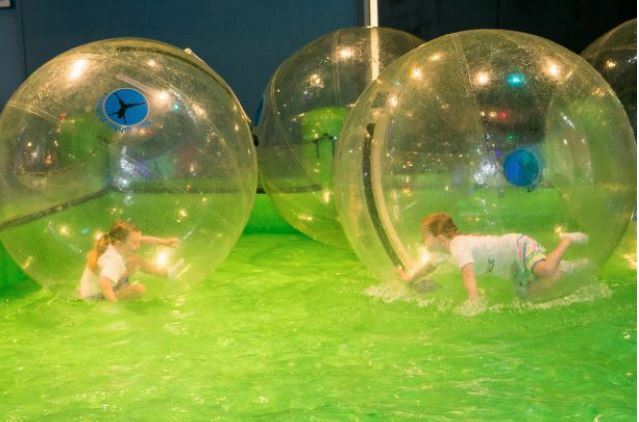 Our Bubble Rollers, Bungee Jumpers, and The Radical Run Obstacle Course will be on the sidelines! Join us as we skate the night away at Winter Wonderland at CSU (California State University) San Marcos! Enjoy skating, hot chocolate, popcorn, games, and great music! Emerald Events (we) will be providing the portable ice rink and skating equipment. 1) You MUST use the skates we issue to you. Skates must not be worn into or out of the skating rink. 2) No skating outside of the rink. 3) Food and drinks must be consumed off of the rink. 4) You may only skate during your designated time. 5) No jumping, fast or wreckless skating, weaving, zig-zagging, practicing derby moves through traffic. 6) No pushing, shoving, racing, chasing, or playing tag. 7) All skaters must keep moving while on the skating floor. 8) Do not pick up or carry anyone while wearing skates. 9) Report all conflicts and safety concerns to staff. 10) All guests who skate are required to wear socks. Thank you for your cooperation and for being courteous of your fellow Cougars. We hope you have a great time! It’s the time of year, again! 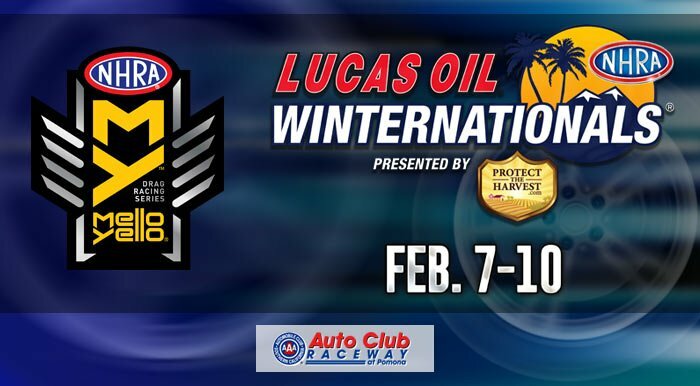 The NHRA Winternationals 2019 will be returning to Southern California this weekend. Football season may have ended but another exciting season of NHRA Mello Yello Drag Racing is ready for kickoff, launching with a 10,000-horsepower blast of nitro-fueled fury at the 59th annual Lucas Oil NHRA Winternationals presented by ProtectTheHarvest.com. The season will begin at Auto Club Raceway at Pomona in Southern California with the NHRA Winternationals, Feb. 8-10, and closes at the renowned dragstrip with the final race of the Mello Yello Countdown to the Championship playoffs, the Auto Club NHRA Finals. This is a fun-filled family event so bring the kids. Emerald Events will be providing all the kid’s attractions to keep the kids entertained. Our Bubble Rollers, Bungee Jumpers, and The Radical Run Obstacle Course will be on the sidelines! Urban Sports LA Sunday Fundays are Back! Join the Urban Sports LA Sunday Fundays Adventure League. Sunday Fundays are an annual co-ed sports and activity league hosted by Urban Sports LA for young adults in Los Angeles. USLA take all of your favorite recess games (ie. dodgeball, kickball, soccer) and take it to the next level, combined with fun, challenging competitions like scavenger hunts, flip cup competitions and more. Teams compete for wins during the six week season where teams compete in awesome events all around LA. Bubble Bumper Soccer will be the game of the day and The Bubble Rollers will be providing the bubble soccer balls for the games. 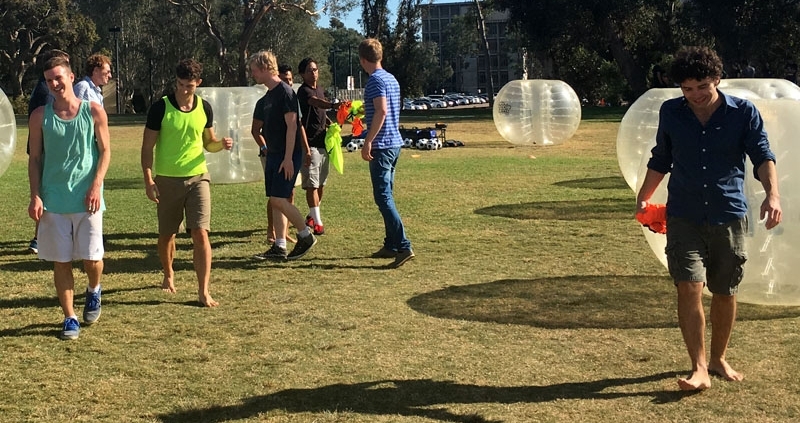 http://emeraldevents.com/wp-content/uploads/2019/01/usla-bubble-soccer-the-bubble-rollers-bubble-soccer-sunday-funday-los-angeles.jpg 850 1280 Emeraldstaff http://emeraldevents.com/wp-content/uploads/2017/01/emerald_events_logo-1.png Emeraldstaff2019-01-20 12:00:002019-01-05 23:49:45Urban Sports LA Sunday Fundays are Back! Join Eastside Church for their annual Christmas At Eastside in La Habra. Eastside’s Christmas Experience is designed for kids of all ages with amazing aerialists and dynamic music and storytelling. Everyone is invited, so bring family and friends for a day of worship and fun activities. This celebration includes FREE ice skating provided by Emerald Events in addition, there will be pony rides, petting zoos as well as FREE hot cocoa and warm churros. So come on down, we expect this event to be an unforgettable experience for all. Thank You, Core Harvest Christian Chuch! We would like to thank Core Harvest Christian Church for booking our ice rink rental! Thank you for inviting us to your wonderful Christmas event. We hope to see you next year! From our staff to yours…We Wish You A Very Merry Christmas! http://emeraldevents.com/wp-content/uploads/2018/12/thank-you-core-harvest-christian-church.png 579 1051 Emeraldstaff http://emeraldevents.com/wp-content/uploads/2017/01/emerald_events_logo-1.png Emeraldstaff2018-12-10 02:58:062018-12-10 03:03:24Thank You, Core Harvest Christian Chuch!